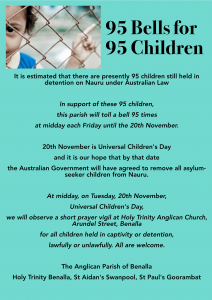 Following the lead of the Parish of St Faith’s Glen Iris, and other churches in Melbourne, The Anglican Parish of Beechworth in the Diocese of Wangaratta, the Anglican Parish of Benalla will be joining in this simple action raising awareness of the unacceptable plight of refugee-children still in our offshore detention centres. Join us on 20th November at midday, or in a moment’s prayer each Friday at noon, wherever you might be. 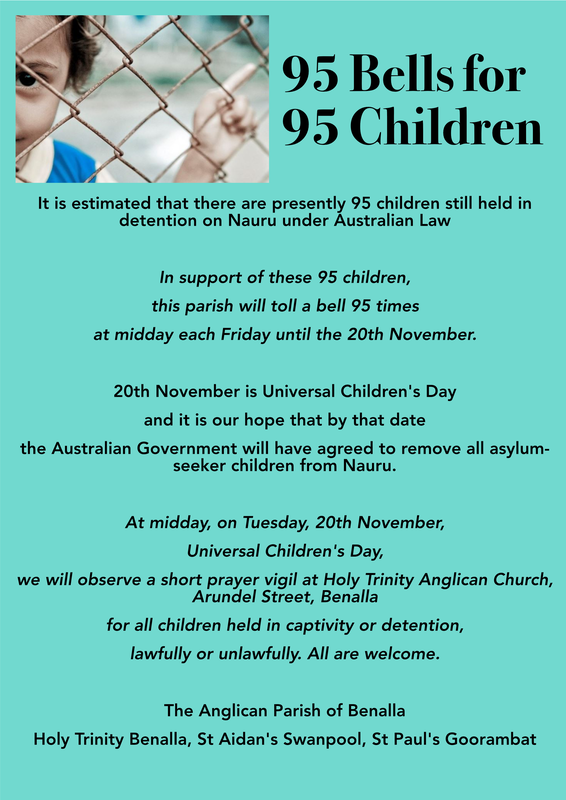 We especially invite the people of Benalla to join with us.